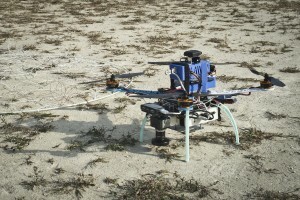 The attack drone developed at KAIST in South Korea. An early prototype that one day might fight drones from North Korea. Close to a million drones may be sold this holiday season. And in five years, the global market is expected to reach a billion dollars. There are drones for everything: real estate and construction, package delivery, journalism, search and rescue. They’re used to deliver humanitarian aid to the world’s most challenged regions and to find and kill the worlds most wanted terrorists without putting US soldiers’ lives at risk.